If you've been a fervent follower of this blog, you'll be able to testify to the fact that what I write here is what is relevant to you, to me, to every one involved in the development if properties especially in Nigeria and Africa as a whole. Having said that, I'll like to write about another aspect of building that I know most people won't like to talk about. I want to talk about How To Calculate Materials for Plastering 2 bedroom flat. This post on How To Calculate Materials Required For Plastering 2 bedroom flat is relevant to those that are currently in this stage of construction, especially those outside the country who may not be aware of current trends in these matters. 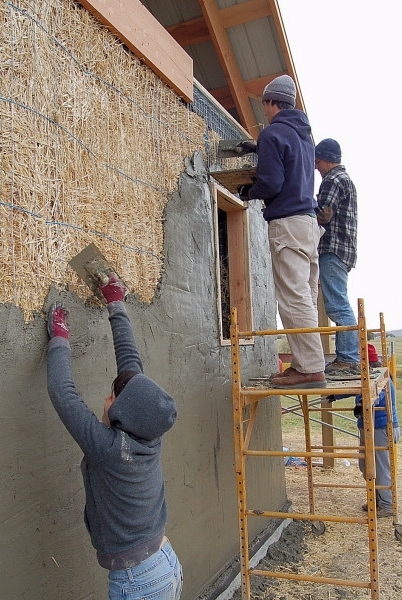 Plastering is a process whereby cement usually mixed with sand and water in a defined proportion is applied to the exteriors and interiors of a masonry wall in order to achieve a smooth surface. Plastering is common where sandcrete blocks are used to construct walls. On this post, I'm going to teach us how to easily calculate the materials for plastering as well as how to cost the workmanship for plastering. What Materials Do I Need For Plastering A 2 Bedroom Flat? In case if you're wondering what materials you'll need to plaster your 2 bedroom flat, I'll list them here. 3. Water: This marries the sand and cement to form a paste and also helps the cement to solidify after placing. Which Part Of the Building Can I Plaster? You have to plaster both the inner and outer walls but depends on what your pocket and account balance tells you, you may have to work on the inner walls before the outer walls. What Is the Mix Ratio For Plastering 2 Bedroom Flat? I'm a Nigerian, I live in the southern part of Nigeria and have done a lot of work in this region also. Your mix ratio depends on the kind of material you have on site. Normally the kind of sharp sand you have will determine your mix ratio. This is because if you have a very sharp sand, then you may need some red sand to act as fillers. But then when you're supplied a terribly sharp sand (usually common in Agbor, Onitsha, Aba, Ekiti) then you'll need to use 1:8:4 ( this means that for every 1 bag of cement, you'll have to add 8 head pan of sharp sand along with 4 head pan of red sand). How Do I Pay Workers that Plaster 2Bedroom Flat For me? 1. For 1 room, you pay from N6,000 and above. 1. Price may be cheaper or higher depending on where you find your self. 2. This N6,000 is shared between the workman and his assistant. 3. If you use the services of a different person to get water. Then you must reach am agreement with him or her to know what amount to pay for water fetched. 4. You'll be buying more bags of cement if your Parlor is terribly huge. 5. These are just for standard rooms under a standard condition. How Many Bags Of Cement And Sand Will Plaster 2 Bedroom Flat? For a 2 bedroom flat, you'll need 16 bags of cement along with 1 20 tonnes trip of sharp sand (you'll have a remainder. You'll need some red sand too. How many bags of cement will plaster 1 Room (exterior and Interior)? To plaster 1 room, you'll need 6 bags of cement since you'll need about 3 bags to plaster the internal walls. Don't forget that I've talked about the price of plastering one room in paragraphs above. What is the Cost Of a Bag Of Cement? You can see this when you click here. This is a very self explained post on How To Calculate Materials for Plastering 2 bedroom flat here in Nigeria, I hope you find this helpful. Do You need an extra services? Couldn't find the topic you're looking for on this blog? Quickly fill this form to help us prepare the topic and send you a response as quickly as possible. You may also use the contact channels on the contact page to get to me.